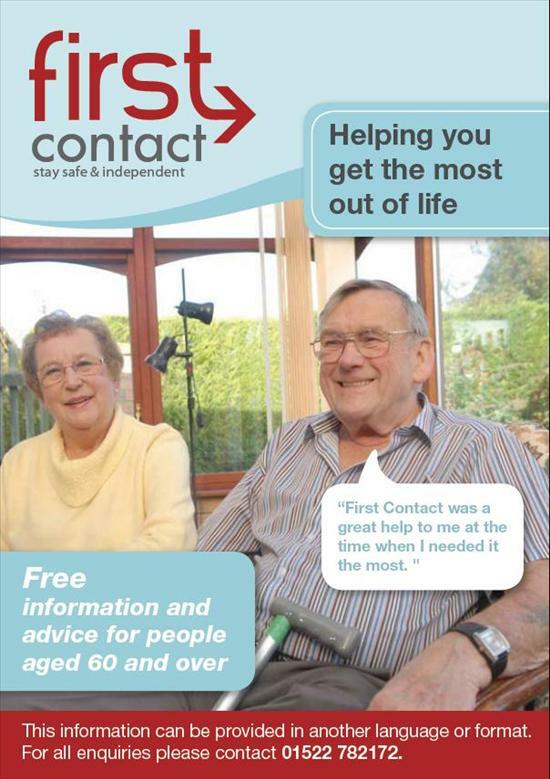 First Contact, a service offered by the charity Age UK, provides free information and advice for people aged 60 and over. This service works with public and voluntary services to help you stay safe and well in your own home, helping you get the most out of life. Please fill in the form attached to the leaflet and send it freepost to First Contact. The relevent organisation will then contact you within 28 days to offer information and advice on their services and what could be available to you. While the information supplied to you may be free, for some services there may be a charge. In some instances organisations may be able to offer you a home visit but please always ask for identification before letting someone you don't know into your home. You have nothing to lose and much to gain by checking this out so what are you waiting for, find out more about First Contact today.